North Bull Island Nature Reserve (some serious litter), originally uploaded by infomatique. 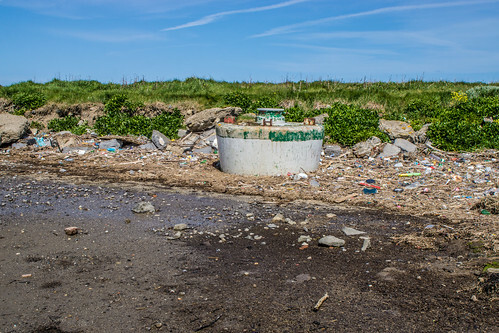 Bull Island or more properly North Bull Island is an island located in Dublin Bay lying roughly parallel to the shore off Clontarf (including Dollymount), Raheny, Kilbarrack, and facing Sutton. The island, with a sandy beach running its entire length, is a relatively recent, and inadvertent, result of human intervention in the bay.